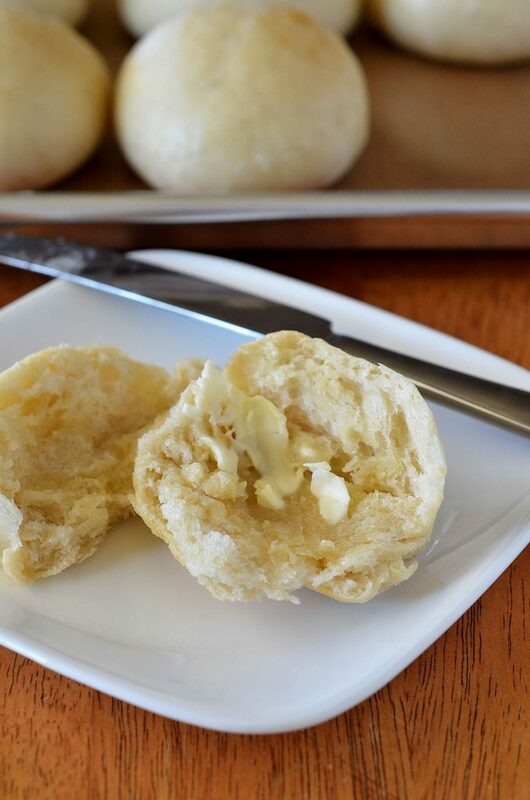 These French Bread Rolls are soft, delicious and one of the easiest roll recipes to make. These are my go-to rolls for dinners, holidays and special occasions! Bread and roll making can be tricky sometimes. I totally get that. When I first started using yeast I was so intimidated. But with a little practice and confidence, I promise you anyone can be a star in the roll making department! 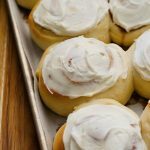 I now make these delicious rolls for everything from our beloved Ham and Cheese Sliders to Cheeseburger Sliders and just for a great dinner roll a long side any meal. 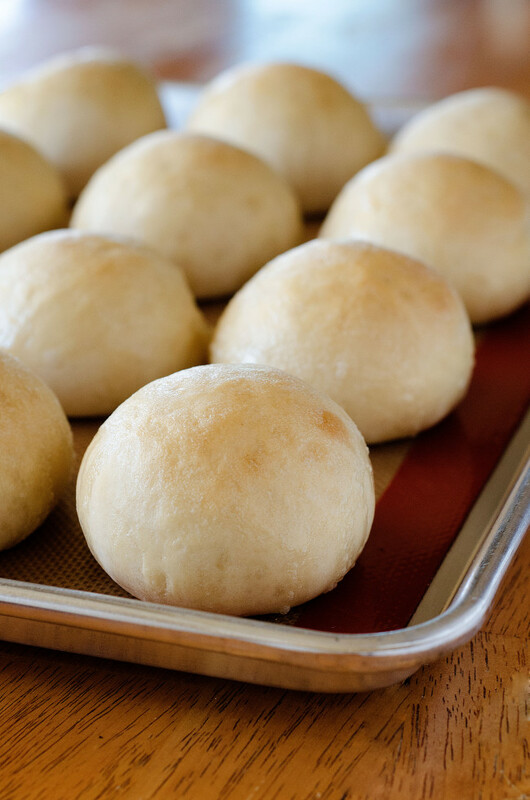 Soft, delicious and super easy French Bread Rolls. In the bowl of a stand mixer or in a large bowl by hand, combine the warm water, yeast, sugar, oil, salt and 2 cups of the flour (if you are using active dry yeast instead of instant yeast, let the yeast proof in the warm water and sugar for about 3-5 minutes until it is foamy and bubbly before adding the oil, salt and flour). Begin mixing and continue to add the rest of the flour gradually until the dough pulls away from the sides of the bowl. (You may not need to use all of the flour the recipe calls for) The dough should be soft and smooth but still slightly tacky to the touch. Knead dough in the stand mixer or by hand until it is very smooth and elastic, about 5 minutes in a stand mixer or 8-10 minutes by hand. Lightly spray a large bowl with cooking spray and place the dough in the bowl. Cover the bowl with lightly greased plastic wrap. Let the dough rise until it has doubled (about 45 minutes to an hour). Punch down dough and turn it out onto a lightly greased countertop. 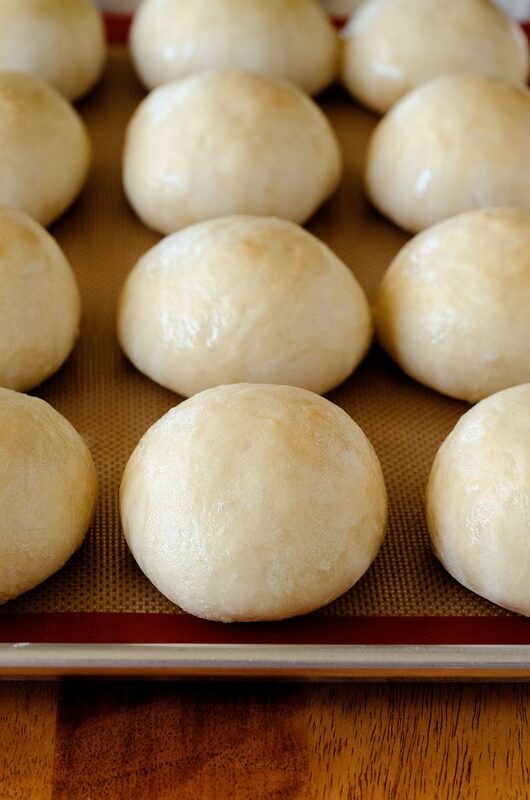 Divide the dough into 12 equal pieces and form the dough into round balls. Place the rolls on a lightly greased or silpat-lined baking sheet about an inch or two apart. Cover rolls with a kitchen towel or lightly greased plastic wrap. Let rolls rise until doubled. Preheat oven to 400° F. Bake for 12-14 minutes until lightly browned and cooked through. 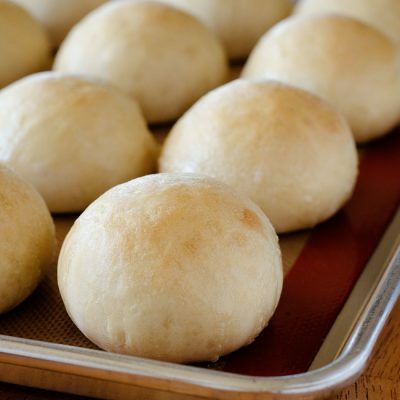 Remove from oven and immediately rub the tops of rolls with butter. **These rolls can be made into the most amazing sub rolls for sandwiches! Just combine two roll dough pieces together and shape into a log. Then bake according to directions above. Yields 6 sub rolls. how about adapting to the bread maker for all the mixing? Four cups of flour fits into the bread maker. Just add ingredients as listed, using dough cycle. Remember to keep salt and yeast separated (so add ingredients as listed, except add salt after the flour. Form rolls after cycle is complete and let rise until doubled. Could these be made using half wheat flour? These rolls are really good, I’ve been making them for several years. They’re perfect for burgers, meatball subs, and Italian beef sandwiches. Super easy too. Can I make the dough the day before and bake them the next day? Question not comment – do you send out daily emails with your recipes? 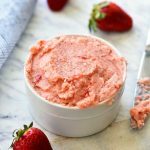 For some reason I’ve just discovered your great site with all these wonderful recipes! If you have a mailing list please add me asap. I looked for a sign up spot on the site but can’t seem to locate one. Thank you! these will be on our next recipe cycle as the sandwich. may try the rolls sooner. These are simple and amazing. Thanks for sharing! These are so amazing I am making them again. I use.my bread machine for the first knead and rise and then rise again after I make the dough balls. Turns out perfect. Had some frozen homemade spaghetti sauce so I thawed it out and it’s simmering and will combine with penne pasta and bake in the oven. Can’t wait to crunch onto these delicious rolls! BTW made your corn dogs for lunch for the umpteenth time yesterday. Perfect as always! I love these rolls!! 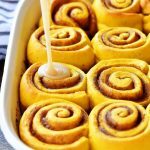 They’re my go to roll recipe!! I make them with about 1/3 part wheat flour! They are so light and yummy!! Love this recipe. I am on my second day making this. Hope ya have much more bread recipes as it is my passion. Thank you for posting it! Hi Karen! So happy you love these rolls! We do too! I made them again yesterday for Sunday dinner. They were delicious, as always! 🙂 I do have more roll recipes on my site. Take a look at the recipe index and you can find them there. Holly, Thank you so much for this recipe, and for adapting it to let a bread machine do all the work! I have to make several batches to accommodate our Thanksgiving dinner needs; how many days ahead of time can these be made and still be delicious? Also, have you tried adding herbs to the recipe? My family is begging for Rosemary French Bread Dinner Rolls.